Sudden Acquired Retinal Degeneration Syndrome has been recognized among dogs in the United States for several decades. Animals are characteristically presented with sudden blindness and normal to near-normal ophthalmic findings, and many can develop weight gain, increased appetite and thirst, and increased urination either before or at the same time vision is lost. Because of the acute onset, most dogs are quite disoriented. In most patients, vision loss occurs during the course of days to weeks, and night vision loss may be noted first. The mean age of affliction is 7-10 years. The syndrome occurs predominately in middle-aged neutered females, in both pure and mixed breeds with a predisposition for Dachshund, Miniature Schnauzer, Pug, Brittany Spaniel, Bichon Frise, Beagle, Maltese, American Cocker Spaniel, Pomeranian, and possibly Shih Tzu breeds. There are sometimes bloodwork abnormalities consistent with metabolic disease, so blood tests are indicated. In acute cases a retinal function test called an Electroretinogram (ERG) is the diagnostic test of choice to confirm the diagnosis, with extinguished ERG results in all cases. 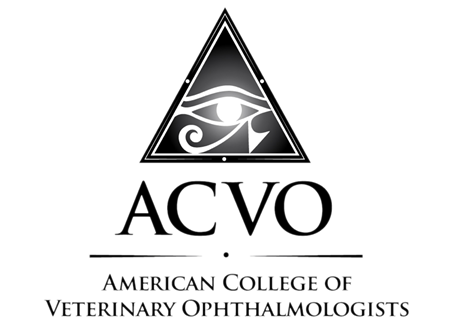 The cause of SARDS is still unknown and is an active area of current research within veterinary ophthalmology. There are also currently clinical trials being performed at the University of California, Davis and North Carolina State University. Epidemiological questionnaires have suggested that stress (for example, boarding, hospitalization, and home construction) may be a factor in the development of blindness in some dogs. Speculation by researchers is that this disease syndrome likely is the manifestation of several disease processes, all with the ultimate symptom of blindness. Response in some patients to immunosuppressive therapy suggests that many of these dogs have immune mediated disease. Many dogs with this disease have other immune mediated diseases such as allergies or inflammatory bowel disease. Targeted therapy for this disease is difficult because we still do not have a firm understanding of what causes it. We have had a few patients recover and retain some (limited) vision with oral steroids or mycophenolate (both immunosuppressive medications). The recovered vision in these dogs can be temporary or long term with continued treatment. More chronic cases or cases with metabolic abnormalities (Cushings-like illness) do not respond well. The use of intravenous immunoglobulin is expensive but anecdotally can help. This drug should be administered under the care of an internist or critical care specialist because of side effects. The use of intravitreal injections is not without risks but should be considered in the case of certain blindness. Strong immunosuppressive medications have worked to maintain day vision in a few of our patients, but these drugs have side effects so bloodwork must be monitored over time. The risks associated with immunosuppression must also be weighed, as this increases susceptibility to infections, and impairs the immune system’s ability to fight infections, and slows healing.